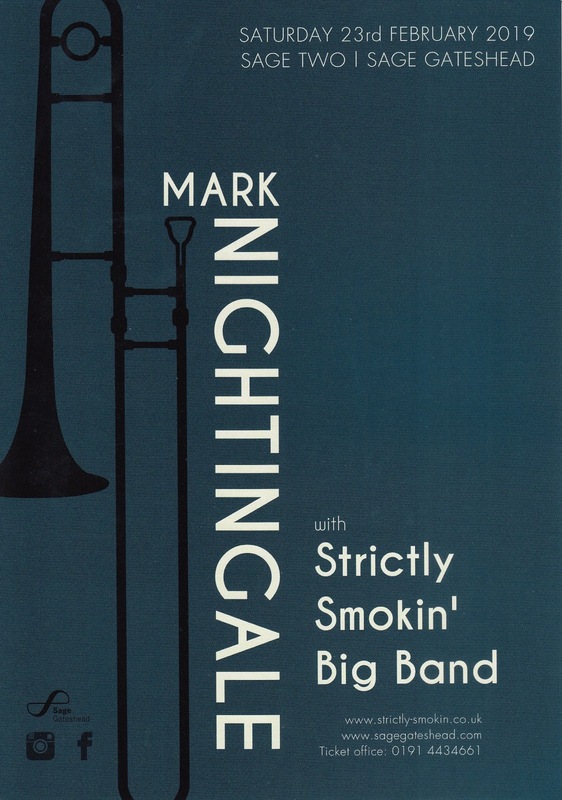 Mark Nightingale's forthcoming Sage Gateshead appearance is close to selling out. The internationally respected trombonist accepted Michael Lamb's invitation to play a gig with the Strictly Smokin' Big Band and tickets have flown out of the door. With three weeks to go - Saturday 23 February, eight o'clock start in Sage Two - a mere handful of tickets remain available. So, to be sure of your tickets to hear the man who has worked with everyone from the Dankworths to Frank Sinatra and Tony Bennett, book now - call Sage Gateshead's ticket office on 0191 443 4661.